Description This Savannah, Georgia hotel has an indoor pool, free internet access, non-smoking guest rooms, an on-site restaurant and free breakfast. A riverfront setting an indoor heated pool and on-site dining options in the heart of the city's Historic District delight our guests at the Hyatt Regency Savannah. The seven-story hotel has 351 rooms featuring plush Hyatt Grand Beds and city river or atrium views. Furnishings include ergonomically designed work desks and chairs in-rooms safes coffeemakers minibars mp3 docks and 37-inch TVs with HBO and pay movies. Non-smoking rooms are available. Enjoy a meal at the hotel restaurant overlooking the Savannah River or opt for lighter fare at the coffee shop. The on-site lounge serves light meals at dinner along with drinks and room service is offered. If work beckons the 24-hour fully automated business center is standing by and there's Wi-Fi access at this hotel too. 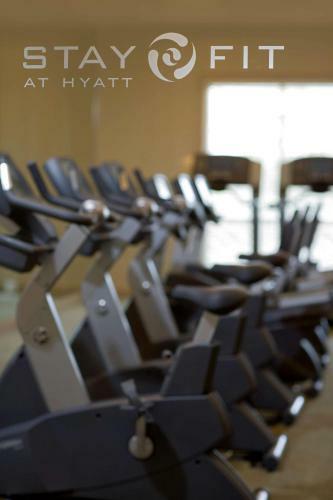 The Hyatt provides a 24-hour fitness center heated indoor pool ATM gift shop and concierge. Valet parking is available for an additional fee. Located on the Savannah River waterfront in the city's Historic District the Hyatt Regency is a five-minute walk from the famed City Market. Take a seven-minute stroll to visit the South's oldest public art museum the Telfair Museum of Art. The hotel's concierge can assist with riverboat cruises or city tours. It's 10 miles from the hotel to Savannah/Hilton Head International Airport. Add Hyatt Regency Savannah to your free online travel itinerary.